Darren is originally from Arlington, Texas but picked up rowing in high school in Tennessee in 2001. After a successful high school career he went on to row at the University of Wisconsin where he won Gold at the Eastern Sprints championship regatta and Royal Canadian Henley regatta, as well as two bronze medals at the IRA National Championships in 2006 and 2008. Darren is currently living in New York City and working as the Head Masters Rowing Coach at the Greenwich Water Club in in Greenwich, CT. Despite a busy work schedule, Darren still finds time to train and compete on the rowing machines as well as at various regattas around the country. 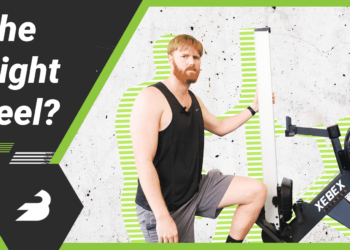 Xebex Air Rower Review — Heavy Duty Performance from Get RXd?